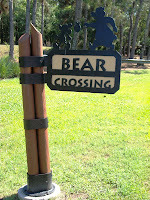 There is a bear lurking around the Wilderness Lodge. 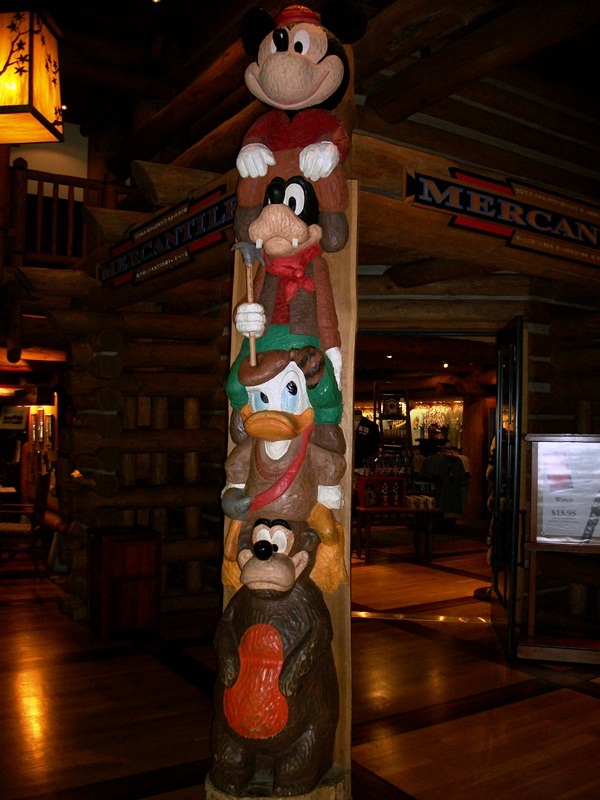 From the front entrance, co-starring with the big cheese on a wildlife crossing sign, to the totem pole in front of the Wilderness Lodge Mercantile, once again starring alongside Mickey, this time with the additions of Donald and Goofy, this daft looking bear is found throughout the resort. Known as Humphrey the Bear he has quite the prolific, if forgotten, history in Disney animation. Humphrey’s origins have been somewhat disputed. Arguably this jovial grizzly snatched his first screen time was alongside Goofy in 1950’s Hold That Pose. The bear in this short warms up at the end, but spends the better part of the short being very cross with Goofy. From there, Humphrey went into hibernation for a couple of years. When he returned, Humphrey racked up six appearances across the twenty-two short released by Disney between 1953 and 1956. That’s a whopping twenty-seven percent of cartoons! The shorts included: Rugged Bear (1953), Grin and Bear It (1954), Bearly Asleep (1955), Beezy Bear (1955), Hooked Bear (1956) and In the Bag (1956). 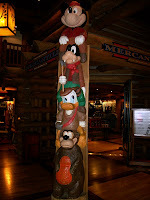 It is in this set of cartoons that Humphrey the Bear’s presence in Disney’s Wilderness Lodge becomes clear. Any number of changes in advancements in animation or story development at Disney could have led to Humphrey’s fall from cartoon stardom, but that doesn’t mean he has been forgotten. A bear who was so comfortable in the National Parks should feel right at home in the Wilderness Lodge, a resort established around the lodges of those same National Parks. I love that Humphrey found a home at the Wilderness Lodge. Wouldn't it be great if Disney would release a DVD collection of his on-screen appearances? You know, Chris, I am always thinking of wonderful DVD/Blu-ray ideas, like the one you just presented, and they never create them. Why don't they just put us in charge of historical DVDs? Sounds like a plan to me!